Dr. John Butler graduated from Loras College with a B.S degree. He then attended Marquette University School of Dentistry. He remains current by taking continuing education courses, ensuring that his patients receive the most comprehensive and advanced care. 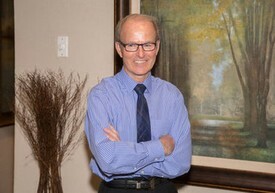 Dr. Butler has been practicing dentistry for many years in his present location. Dr. John Butler is married and he enjoys hunting, fishing, hiking, and flying.